Cupcakes 'n Daisies: Back to basics . . . . 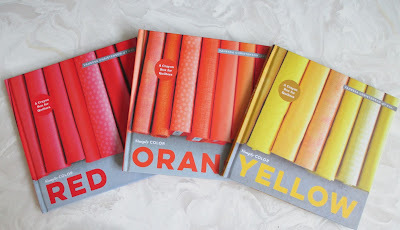 They are a series of books titled Simply Color written by Vanessa Christenson of V & Co. Each book focusses on one color. The first book, Red, was given to me as a gift by a friend because red is my favorite color. The first book was so interesting that I've bought each new book as it has been released. I have enjoyed reading the books, they do a wonderful job of explaining a lot of the basics about color that I didn't know, provide a few interesting facts about the color, and have an assortment of projects using the color. I'm ashamed at how lacking my formal art education is, I must have been absent the day the color wheel was taught. 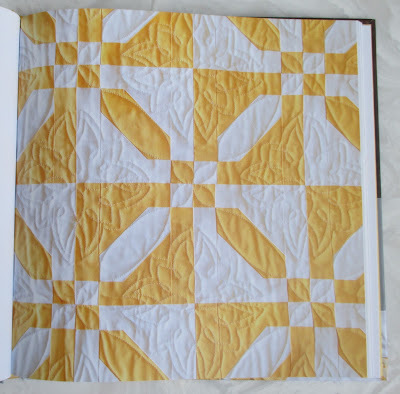 I've made over 150 quilts and have just now learned that hues are pure colors and that tints are pure colors with added white and shades are pure colors with added black!!! Not only do these books explain the basics like this, in easy to understand terms, there are beautiful pictures representing each concept. Tone, value, and saturation, and how they relate to each color are wonderfully illustrated and explained also. And finally, there are also great pictures and descriptions of color combinations, lots of pictures, lots of color!! Here's my favorite red project. Did you know the term "turkey red" was created because the first red colorfast dyeing process came from Turkey?!?! I was excited that the second book was orange, I'm going through an orange phase. 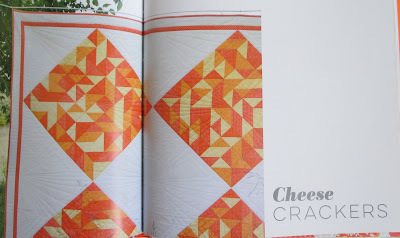 This is my favorite orange project from the Orange book. 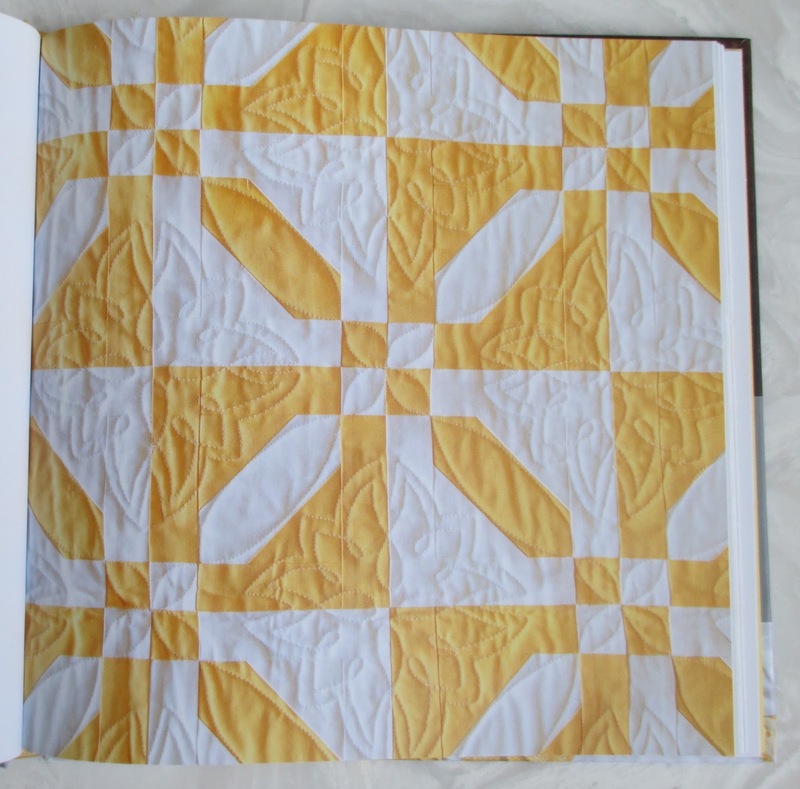 Did you know that today orange is one of the most popular colors in quilting cotton? Who knew, not me, until I read the book! I wasn't thrilled when the Yellow book came out, I like yellow, but good yellows are hard to find and I don't have very many in my stash. I have more golds than yellows. Funny thing, the Yellow book is my favorite! There are several yellow projects that are now on my To Do list. Did you know that the eye perceives the color yellow before any other color? 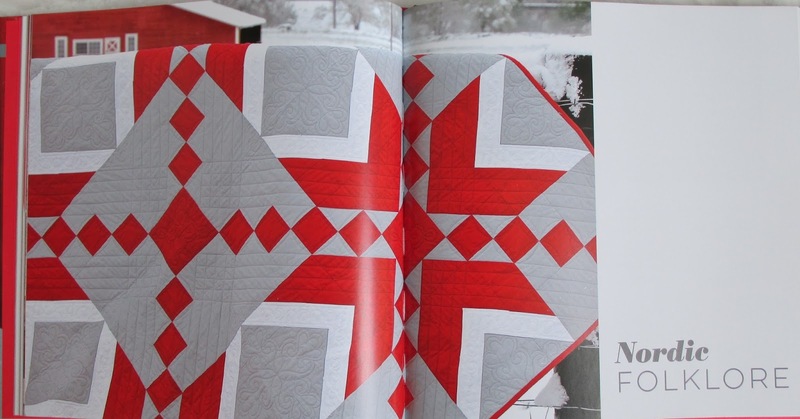 That's why you notice it so quickly when it's used in quilts! Vanessa Christenson, the author of these books, did not ask me to blog about them. I've never even met her, although she looks like she would be a lot of fun and I think I would love to talk all about colors with her. I chose to blog about these books because I find them hugely informative, very interesting, AND worth the price, and I just wanted to share that with you, because I think you would like them too. Blue, Purple and Green are the last three. I'm really eager to read Purple, because I do not like that color, but I expect Vanessa will change my mind about that! Speaking of color, I have a lot of it going on on my design wall right now, more about that later this week! 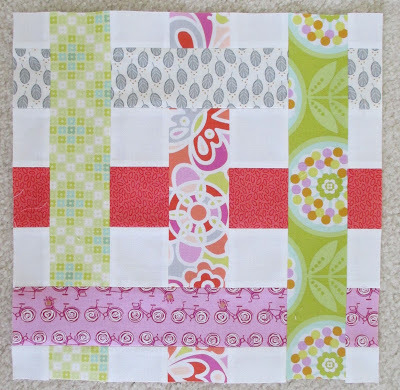 I love that bicycle fabric, don't you, and is that purple?!?! Thanks for the run through of these books have been toying with getting them, think I will have ti buy myself a present. What a great post! I love yellow but have read it is not used much in quilts, probably because it makes such a statement! 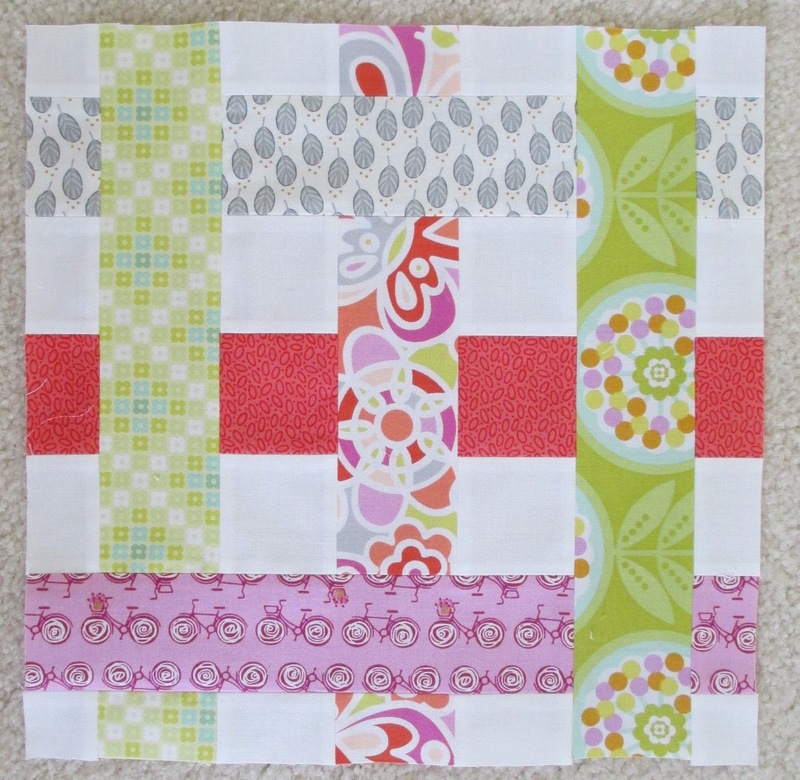 I love that bicycle fabric too- I have it in orange!! Thanks for writing about these books. I had been on the fence, but you sold me. I love Vanessa's blog and writing style, so I am sure that I would love the books. Yellow is my favorite color, but I can never find the shade (?) I want. Guess I need to expand my vocabulary too. I must have also been out on color wheel day! 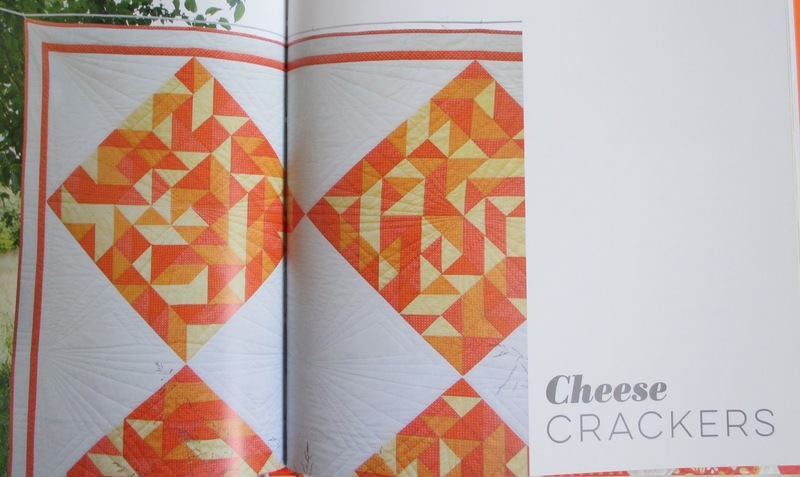 That yellow string quilt is really pretty and I love the orange Cheese Crackers. We have these books at the shop but I never looked at them. Guess I'd better do so! Had not heard of these books. They look like a great addition to the library. 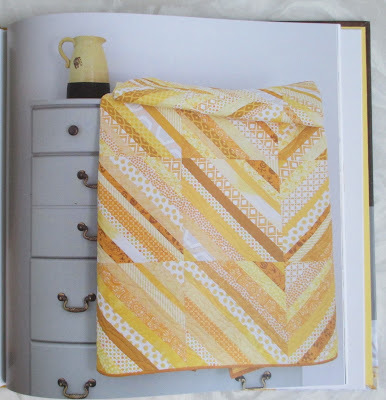 I absolutely love that first yellow quilt. For the longest time my yellow bin was the most full. I actually forced myself to step away from yellow hues so I could explore other colors. It seems red is my favorite. I love adding a splash of red in all my quilts and love binding my quilts in red. I was wondering about these books. Thanks for the reviews. I'll have to get them ordered up. And, yeah, I'm with you on purple! That was a fun share - I was not familiar with these books yet, and now I have some fun additions to my Wish List. Thank you for the information and referral to Simply Color books. I'm delighted to learn about them and have added them to my list of books to acquire [and to the Things Mom Would Like list that my kids always ask for when gift occasions approach]. Your post was enthusiastic and fun to read. Great review of the books, Thelma, thanks! I had heard of them (and love Vanessa), but now I'm' really intrigued with them!